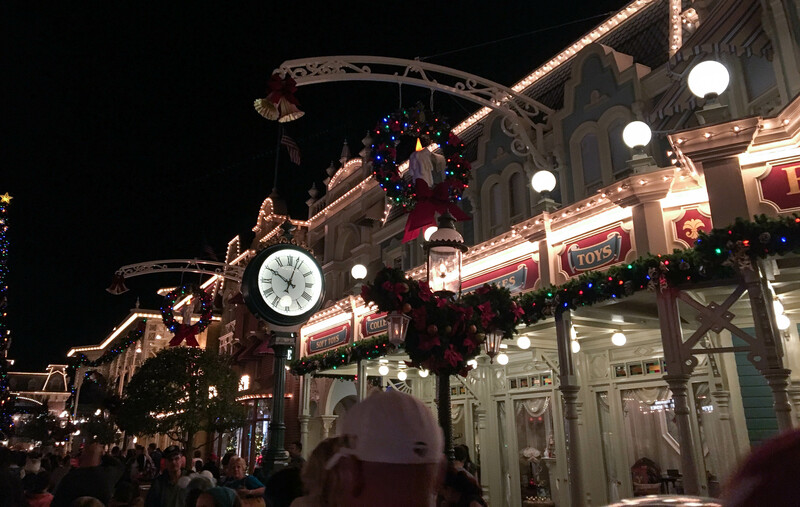 So I did three Disney World parks in one day during the Christmas period…am I crazy or not?! Surprisingly, a lot of stuff was accomplished. 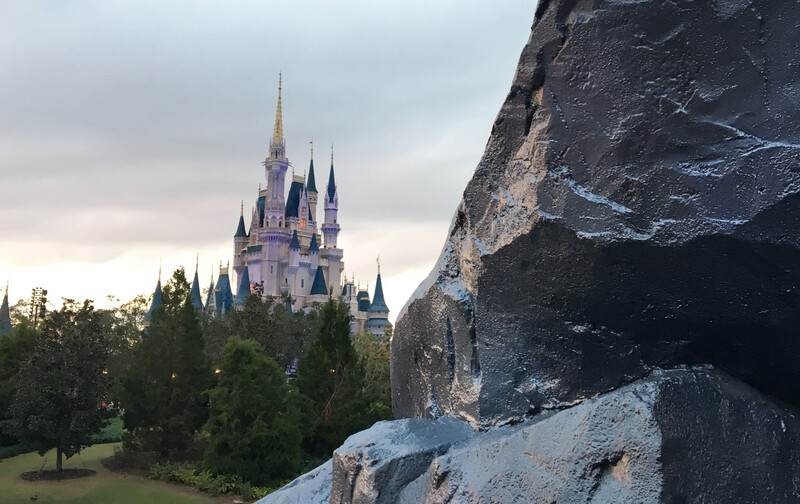 I don’t really have much tips on how to conquer Disney in a day ( I highly recommend NOT to,) but if you only have one day to spare – maybe you will gather some inspiration from this post! It’s been like two weeks since I went to Disney World but I’m already missing it and repeatedly playing the soundtrack when I’m driving. I had a full day plan assuming we get to the parks at 9am (when they open) and go to Animal Kingdom first thing. Our resort, The Point Orlando, had a shuttle departing at 8:20am going to Magic Kingdom. However, traffic getting into MK was pretty bad so our shuttle driver dropped us off at Epcot instead of Magic Kingdom as planned, but hakuna matata, Animal Kingdom is only accessible via shuttle bus from all three parks so we took the shuttle to AK. 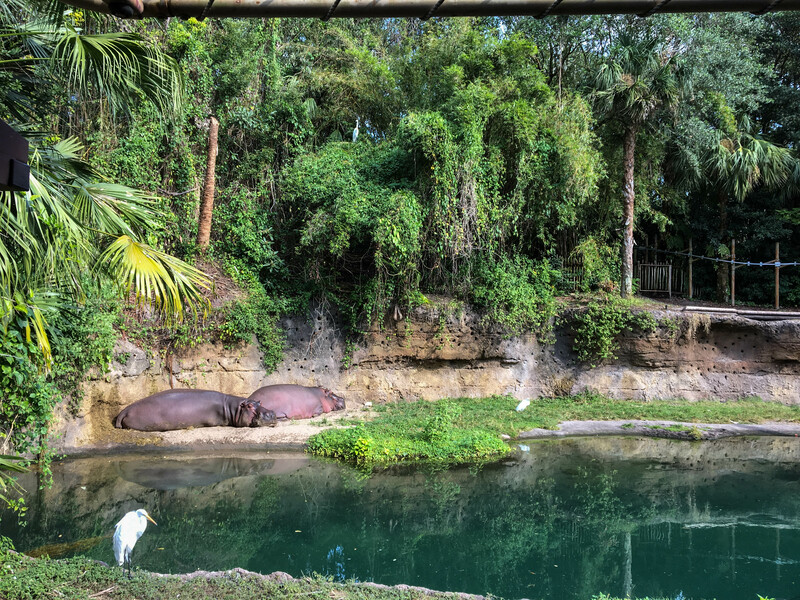 This is the second time I’ve done Kilimanjaro Safaris and it’s a different experience every time depending where the animals are roaming around and what they are doing at different times of the day! Afterwards, we went to watch the Festival of Lion King. I used a FastPass+ on it, thinking most people would just go through the standby entrance for a show (that happens every hour,) but I was SO wrong. The FastPass+ line was long AF and the standby line was super empty. That means the show must be that popular and after watching it- you can see why, every performer was AMAZIN G. The stunts were superb and there was great audience interaction. A definite watch for kids and adults! Plus, who doesn’t love Simba?! After the Festival of The Lion King show, it was time for food! 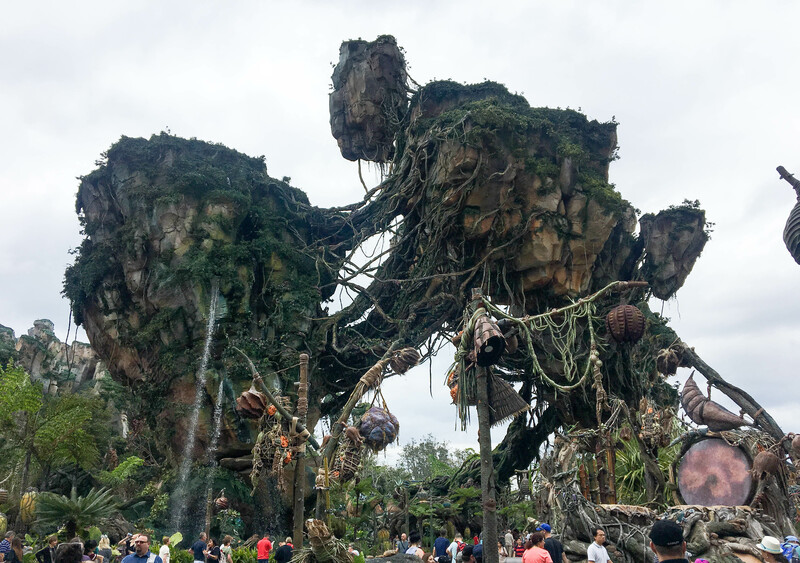 Since I left Disney World in May before the section Pandora- World of Avatar opened, we went there to explore and eat. 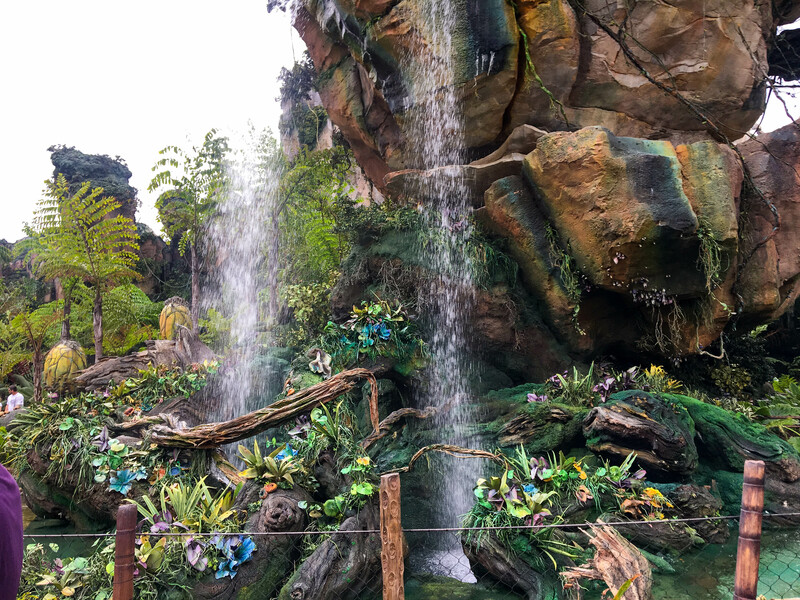 Pandora- World of Avatar is a smaller section of Animal Kingdom and opened earlier this year. There are two rides that I would’ve loved to go on but the wait times were too intense and I was too late to do a FastPass+ for them. Next time! I haven’t had the healthiest of meals in Orlando and I opted to go eat at Satu’li Canteen in Pandora as I read good reviews on popular Disney blogs. A bunch of people seemed to have the same idea and the line up was LONG. Luckily, being a ‘millenial’ (honestly not sure if I’m too old or too young to be one LOL,) means that doing a mobile order is easy peasy and worth a try. There are a few quick service restaurants at Disney where you can mobile order on phone and then tap when you arrive at the restaurant so they know when to prepare it. Satu’li Canteen was one of them and I was extremely impressed with the speed of getting the food. There must have been 50+ people ahead of me if I lined up. 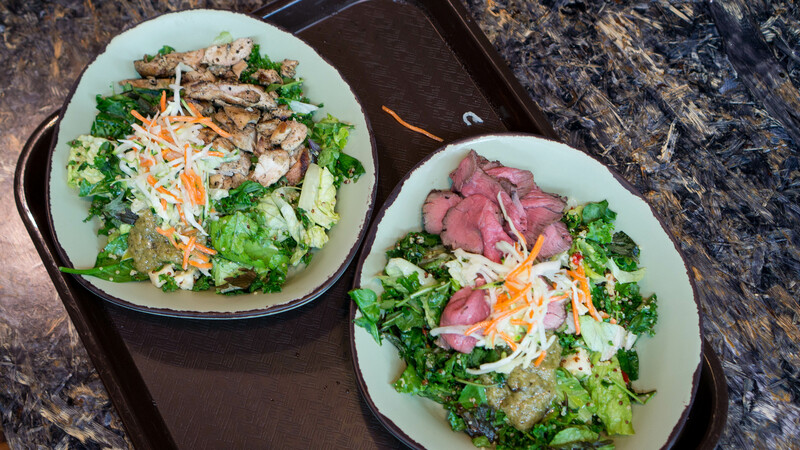 We ordered the Slow-Roasted Sliced Grilled Beef and Chopped Wood-Grilled Chicken Bowl, both with a Quinoa & Vegetable Salad base and chimichurri sauce. The quality of food was definitely worth the $11.49-$12.99 price tag. After lunch, we did a quick stroll through the rest of Pandora, then headed to our next park. I wished I had more time to walk through the Valley of Mo’ara, as the pictures online looked BEAUTIFUL. I’d definitely come back at night too when all the bio-luminescent lights are on. 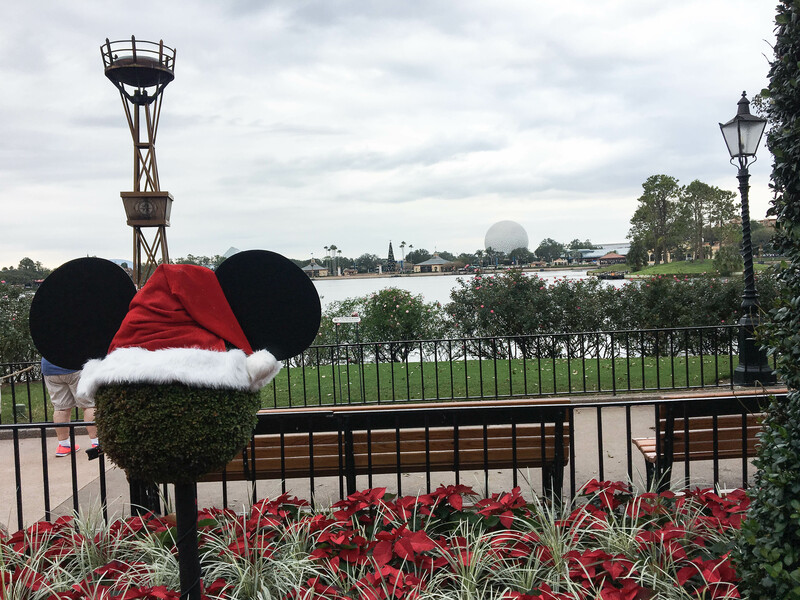 During this time, it was Epcot International Festival of the Holidays and each country had different snacks and drinks pertaining to this event. 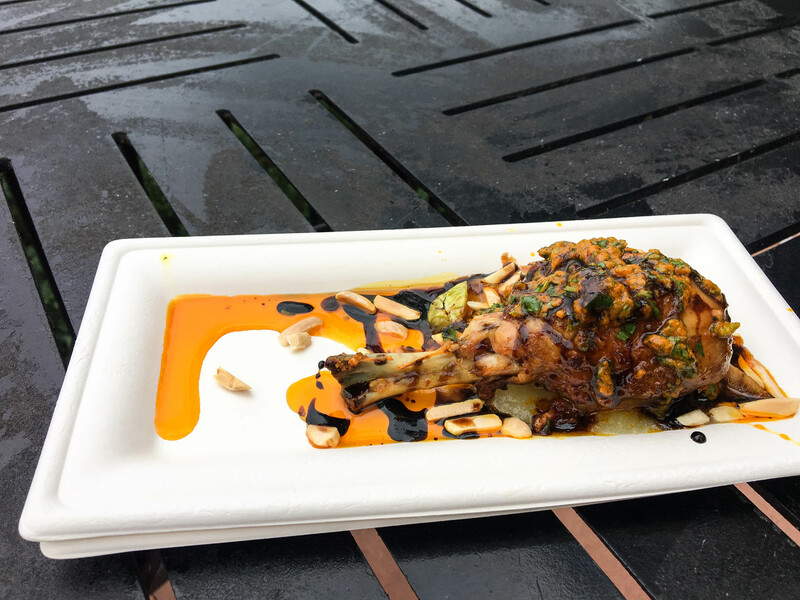 While walking around we got hungry, we stopped at the Morocco section and bought a “Confit of Chermoula Chicken Drum” (with Cinnamon Granny Smith Apple, Toasted Almonds, Brussels Sprouts and Pinot Noir Syrup) for $7USD. It was alright, the sauce was tasty and interesting but wish the portion size is a little bit bigger. Though we were in a theme park, I’m not expecting a bang for your buck kind of deal. It was a nice mid afternoon pick me up though. 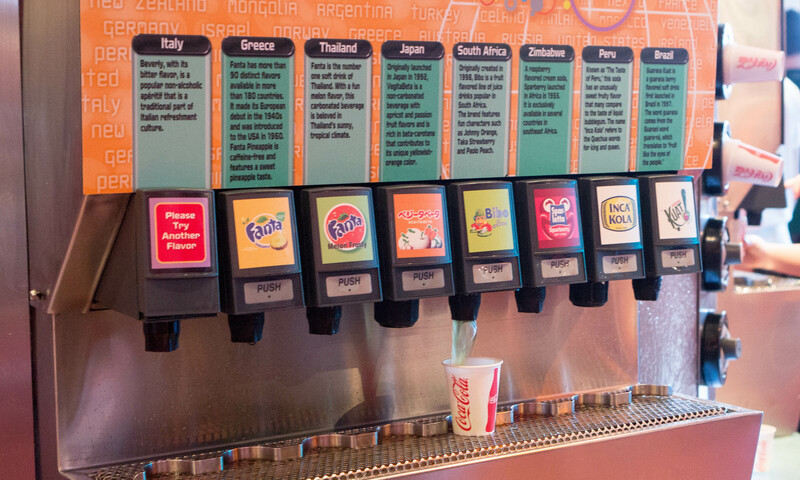 One of my favourite stops at Epcot to quench your thirst – Club Cool where you can drink sodas from different countries! And LOL while looking at this picture, I realized someone put a “Please Try Another Flavour” under Italy – it is Beverly and it’s a bitter soda which I quite like – but most people don’t. My favourites are the Sparberry (raspberry cream soda) from Zimbabwe, Bibo from South Africa and Fanta from Thailand. 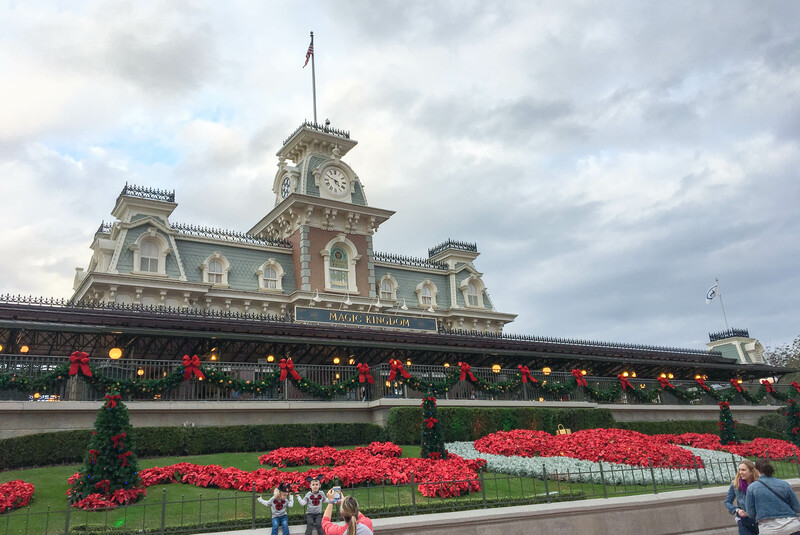 Then to the most magical of parks…Magic Kingdom!!!! I wanted to come here just before the sunset and then wait around for the Happily Ever After fireworks. We took the monorail from Epcot to Magic Kingdom and I knew it was going to be busy the moment we walked in. At Magic Kingdom, we got FastPass+ for Buzz Lightyear’s Space Ranger Spin (without it would’ve been an hour wait!) and after that we used another FastPass+ for It’s A Small World (sadly there weren’t many FastPass+ available at night unless it would lead us to miss the fireworks show.) In between, we grabbed a Mickey pretzel and a Dole Whip and walked around for a bit. I realized that my stomache cannot digest Dole Whip or something- instant stomache pains after!! 🙁 The sadness!!! Between shopping for gifts, going on rides, and eating dinner at Columbia Harbour House (meh – but at least you can online order and there’s a lot of seating. 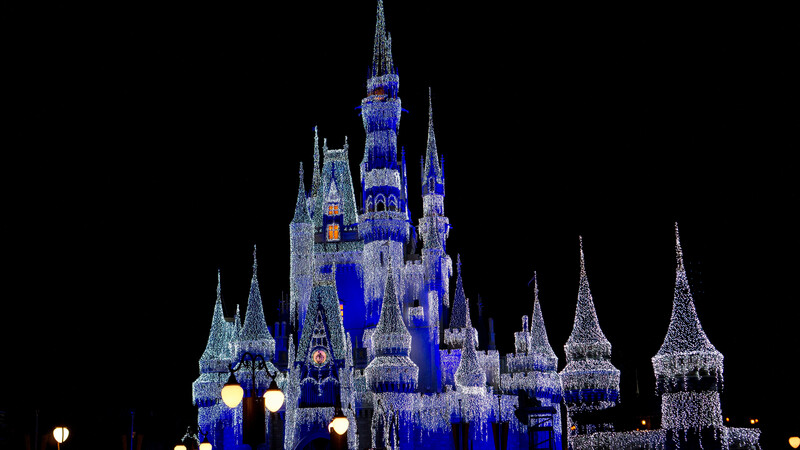 The washroom is a bit far though,) we managed to watch “A Frozen Holiday Wish” where Elsa comes out and transforms Cinderella’s castle into a glimmering ice palace. SO freaking gorgeous! The Happily Ever After fireworks showed started at 9pm and we also caught the Once Upon A Time show at 9:45pm. Both of these involve projections on Cinderella’s Castle and the fireworks during Happily Ever After definitely leave you feeling SO content. It’s something I could watch everyday and be amazed at how Disney did this. 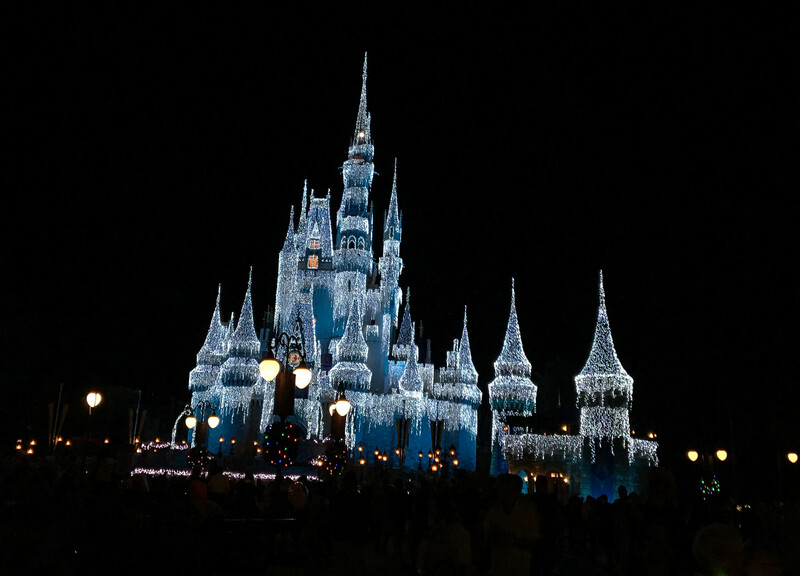 Would I do Disney World in a day again? Probably not – but since I went only a few months ago I found it way easier to plan and navigate the second time around. 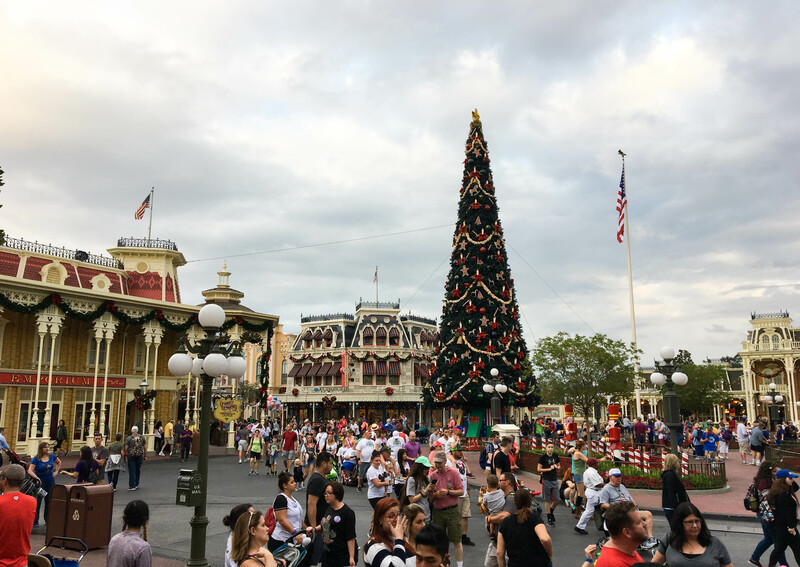 I would probably do another 4 day Disney World vacation and go to a park a day – but since we spent most of our trip at Universal Studios, it was nice for a one day Disney getaway. I can’t wait to plan out other dining places and other rides that I would’ve reserved a FastPass for 30 days ahead of time! I already have some ideas on what to do on my next Disney trip. Disclaimer: I received 2 One-Day Disney World Park Hopper passes in exchange for a post.